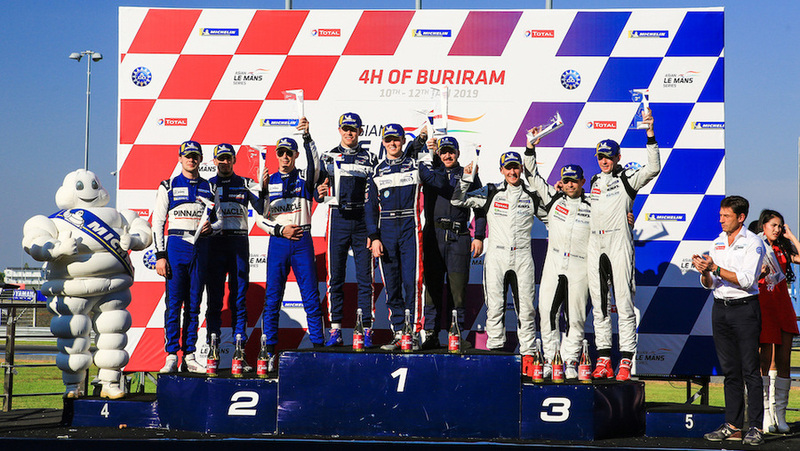 Britain’s Phil Hanson scored his maiden Asian Le Mans Series outright race victory in dominant style in the 4 Hours of Buriram (12 Jan), the third and penultimate round of the championship. The #22 Ligier JS P2 Nissan he shared with Paul Di Resta (GB) recorded an emphatic near two-lap victory staged at the 2.83-mile Chang International Circuit in front of a crowd of tens of thousands on “Children’s Day” in Thailand. The British duo, who had finished second in the previous two races, now have a healthy 18-point advantage in the series with a maximum of 26-points on offer in the finalé staged at Sepang on 24 February. Phil secured a second consecutive front row start in qualifying on Friday and although dropped to P3 at the start of the race, was leading after 6mins and impressively extended his lead to 34secs after just 30mins. The #22 led by 41secs at one-quarter distance, and made use of the race’s only Full Course Yellow with just over 90mins gone, to pit with the race neutralised and led by 46secs at mid-distance. Phil finally handed over the leading #22 to Di Resta after a marathon 143mins stint, having led from lap 4, in plus 32C ambient weather conditions – now with a 39secs advantage – but was back behind the wheel with 47mins remaining, Hanson having to take over due to Di Resta’s restricted regulation driving time. The #22 ultimately took the chequered flag almost two laps ahead after 158-laps – Phil taking on a splash of fuel with less than two minutes of the race remaining.